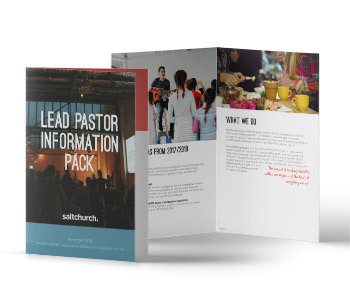 Salt Church is looking for a new Lead Pastor. Salt is a Bible-based, Christ centered and mission focused church located in Wollongong. Since its commencement in 2012, we have seen significant growth across our two Sunday gatherings, particularly with young families and young adults. We’re an active member of the Fellowship of Independent Evangelical Churches and structure the church’s ministry around 5 purposes – Magnification, Membership, Maturity, Ministry and Mission. We are seeking to appoint a godly, experienced Pastor to lead our church in reaching a flood of lifelong disciples in the Illawarra region. Ensure the clear and faithful presentation of God’s Word in all ministry areas of the church. As part of the application process, you are required to address each of the selection criteria in a separate written document. Please also include a CV, containing the name and contact details for 3 referees (2 professional and 1 personal). Applications should be addressed to “The selection panel” and emailed to panel@saltchurch.info.